Argan oil contains vitamin A and vitamin E which, being antioxidant agents, can give you a supple and youthful face over time. It is full of omega-6 and omega-9 fatty acids, which help the skin retain its natural moisture, thereby keeping it plump and healthy always. The antibacterial properties of the oil can also cure skin infections like acne, eczema, etc. This oil can work as an excellent moisturizer for the facial skin. Just a few drops of rosemary oil can help you get rid of excessive dryness. 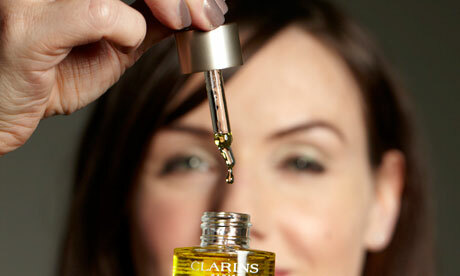 It has also been found that the oil can boost the circulation of blood throughout the face remarkably. This turns mature and exhausted skin into a healthy and youthful one. The best thing about evening primrose oil is that it contains GLA or gamma-linolenic acid. Being a specific type of omega-6 fatty acid, it possesses anti-inflammatory properties, which help in healing a number of skin orders like rosacea, itching, cracking, etc. GLA is also known to attenuate acne-causing sebum so that you can stay away from ugly breakouts. Though moringa oil can induce enough moisture into all sorts of skin, it is especially beneficial for acne-prone faces. You can apply the oil regularly on your facial skin and prevent it from developing acne as well as getting too dry or too oily by regulating the secretion of sebum. The vitamin A and vitamin C content of moringa oil also improve the tone and texture of the facial skin. Juniper oil is an amazing essential oil that has long been used as a beauty boost for our facial skin. It works as an astringent and tightens up the skin to a great extent. Apart from making the face firmer and young-looking, this oil can also be used as a good antiseptic agent. Mongongo oil is considered as one of the best natural sun protection choices for the facial skin. It is rich in a certain fatty acid named eleostearic acid, which acts as a natural sunscreen and keeps sun damages away. The oil can also help the delicate facial skin maintain its actual water balance and repair the damaged cells by healing swelling as well as inflammation. You can give your loose facial skin a significant lift by massaging it with frankincense oil regularly. It can increase the contraction of facial muscles and make the skin toned and firm gradually. As a result, you get a wrinkle-free, youthful skin that is hydrated and healthy too. Last but not the least is the highly invigorating baobab oil. The antioxidant properties of the oil make it a wonderful choice for preventing cell damages. The vitamin D content of the oil enhances the facial skin tone considerably. Besides, it is loaded with vitamin A and vitamin E, which help retain the moisture of the skin and keep it hydrated always. How To Apply Facial Oils? Pour 4-5 drops of your favorite facial oil onto your palm. Rub it in between your palms for a few seconds so that it generates warmth and loosen up a bit for smooth gliding. Then, rub your palms into your face to spread the oil all over the skin. Massage it gently into your facial skin by applying little pressure with your fingertips. Continue massaging until the oil gets absorbed into the facial skin completely. Focus on the requirements of your facial skin and pick an oil accordingly. If you are blessed with a problem-free skin, look for oils comprising vitamin A, vitamin E, omega-3 fatty acids, etc. for better moisturization, sun protection, and cell renewal. Find the best facial oil of your choice in its purest form. If it is not pure, it will do more harm to your facial skin than good. Facial oil massage should always be the last step in your daily beauty and skincare routine. The moment you will apply oil to your skin, it will stop absorbing water-based products. Hence, slather on your moisturizer and layer it with the oil. The best time for facial oil application is the evening. However, if you have a super dry skin, apply a few drops in the morning too. The best part? You can skip your thorough beauty routine and still make the most of your facial oil application. 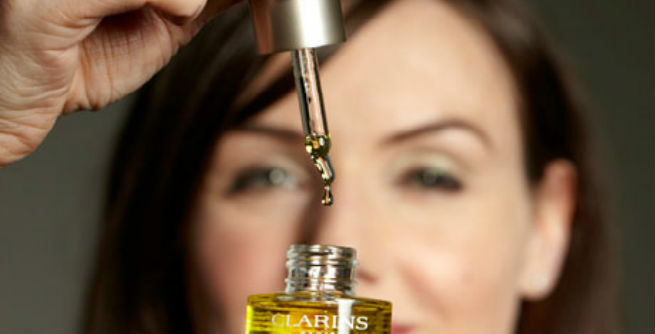 If you are running out of time, simply mist your face lightly with plain water right before applying the oil and voila! You are ready to embrace a gorgeous skin!